Arlene Balubayan, MD, MPH, F.A.A.P. Dr. Fritz graduated from the University of Medicine and Dentistry of New Jersey in Newark and completed his residency training in pediatrics at the US Naval Medical Center and Children’s Hospital of Northern California at Oakland. He then served as staff pediatrician in the US Navy for three years before joining The Somerset Pediatric Group. He has worked in many places around the world, caring for children of those countries as well as the children of US Navy personnel. 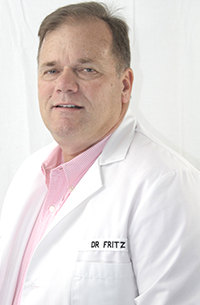 Dr. Fritz enjoys ice hockey, college basketball and spending time at the Jersey Shore. Please do not use this form for medical or appointment related questions.